Ulster Volunteer Force mural, Sydenham, Belfast, 7 May 2009. The paramilitary UVF was formed by loyalists in 1912 when Ireland was on the brink of sectarian civil war over home rule, ie the devolution of government to Dublin. 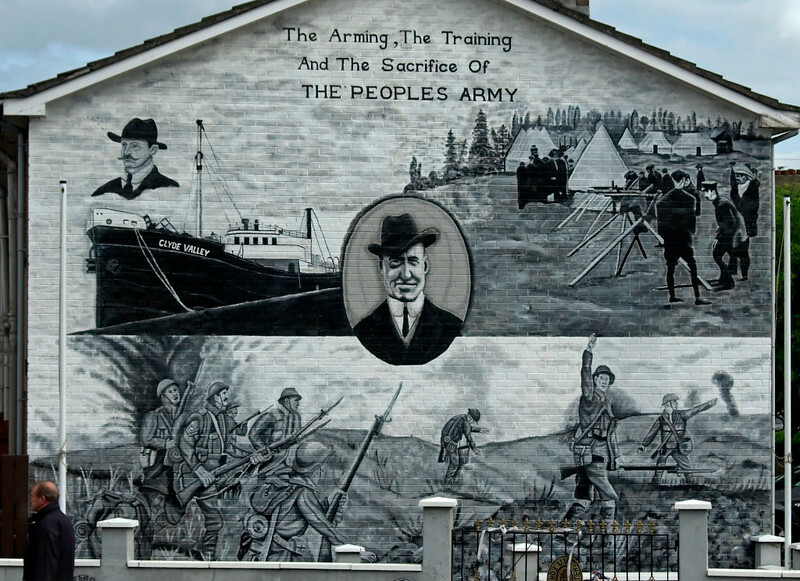 The UVF subsequently formed the core of the British Army's 36th (Ulster) Divison during the First World War and took part in the 1916 Battle of the Somme as shown in the bottom half of the mural.